As 2016 draws to a close, we were curious to explore what the hottest trends were for brides and grooms over this past year. With each year, weddings shift to reflect the times just as much as the personality of the couple. What were the hottest wedding trends in 2016? Popular wedding colors are one trend that shifts a lot from year to year, and 2016 was the year of rose gold and a mix of other soothing, warm metallic tones blended with soft pastels. Rose Quartz, a blush pink, was named one of Pantone’s 2016 two colors of the year, and it was everywhere at weddings. (Pantone’s other color, Serenity, a periwinkle blue, was also a popular palette choice). Rose Gold added that extra gleam of sparkle to everything from table liners to bridesmaids dresses and even to the color of the wedding bands. Experts also recommended glowing gold accents in room decor and copper lanterns as other ways to incorporate a metallic pop into a wedding. The sparkle of metallics added an extra special gleam to wedding days, while more soft pastels, like the Serenity color, provided a beautiful backdrop that allowed the metallics to stand out. Not all metallics felt the love this year–silver’s harsher tones were not a popular choice. that featured a feather overlay skirt atop a classic lace sheath. Floral-printed dresses were also all over bridal runways, giving brides the chance to bring their favorite flowers out of their wedding bouquet and onto their gown. No wedding is complete without the perfect libations, and 2016 was full of new cocktail trends. Satellite bars were on the rise, with speciality bars offering signature cocktails, craft beers, or a speciality wine or spirit in addition to the regular drink menu at the primary bar. Personalization was the buzzword for 2016 and cocktails were a primary place to showcase personality. 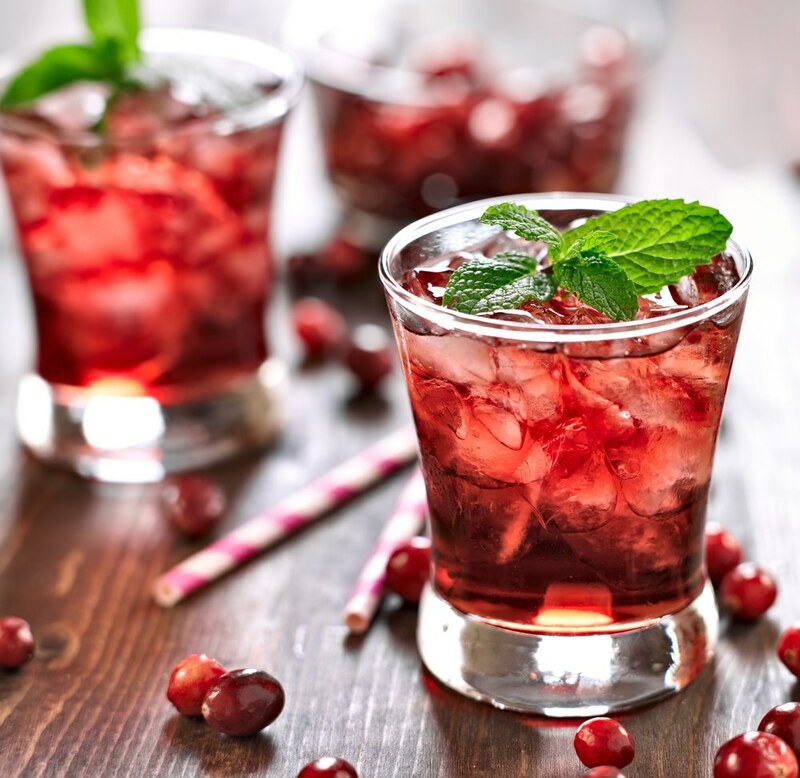 Many couples chose to create a signature cocktail to accompany their wedding theme, while others opted for a his and hers drinks menu to feature their both of their favorite libations. Rose colors weren’t limited to wedding decor either–rose wines and champagnes were both a wedding favorite. Some people extended that personal touch to an entire alcoholic experience such as a tequila or champagne garden or even a specialized martini bar. For the ceremony, many opted for a choir or acapella group to sing a special rendition of “your song” as they walked down the aisle. Those that wanted a more traditional string quartet surprised guests with an unusual song choice for the ceremony, such as a favorite movie theme. The reception music was full of surprises on the dance floor as well — while in the past, contemporary tunes reigned supreme, 2016 weddings showed a marked return to a blend of retro and current hits. Many also opted for specialty performers during cocktail hours, such as a cabaret act or jazz band, only switching to a DJ or rock band once it was time to hit the dance floor. Personal touches now extend far beyond placecards or monogrammed napkins, with couples selecting, or even making, everything from unique invitations, their favorite family dish, or entire themes that reflect their personality as a pair. Another popular trend was incorporating special places into the ceremony without holding a destination wedding–if you got engaged in London, include British flags in the decor, or if you met at college, work your alma mater into the wedding elements. As we mentioned before, personalization was the overarching trend for 2016. Fruit-infused alcoholic popsicles, a choose your own candy bar, and doughnut walls were just some of the new dessert trends in 2016. Cakes also took an innovative turn this year with hand-painted cakes that echo wedding gown designs and more. Graphic prints, textile-like motifs, or blank cakes that served as a canvas for video projections were all popular choices. For those who went more traditional, fondant cakes saw their popularity wane as couples returned to the organic finish of buttercream frosting. Also popular? Foregoing frosting altogether with a “naked” cake topped by a stunning fruit or floral arrangement. 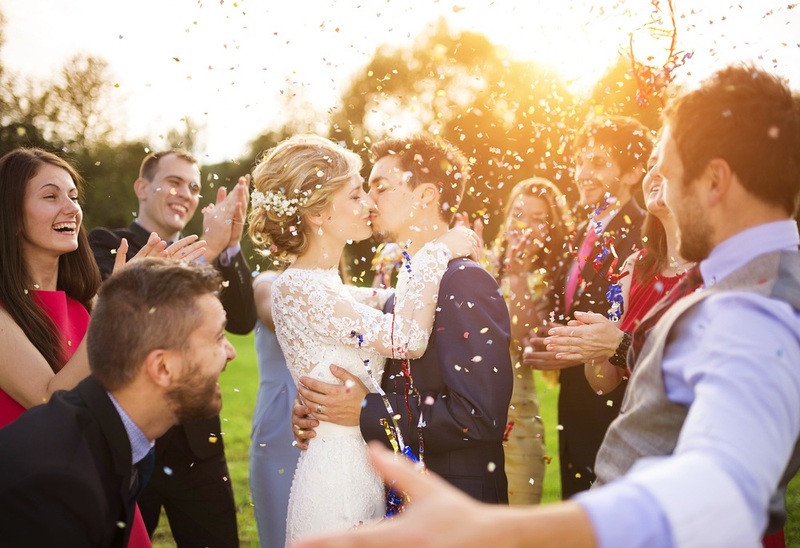 This year was a great year for love for many couples who tied the knot, and a host of trends toward personalization made their 2016 wedding day extra special and all about them.